The heat wave has moved on, leaving our area with just the right temperature, for a relaxing vacation. Our nearby beaches are full of people of all ages , the holiday period has commenced for our tourists. 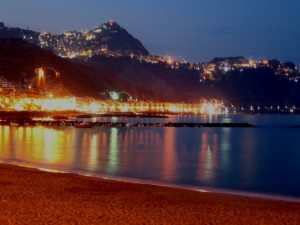 After a relaxing day at the beach, they drive back home to enjoy a nice Italian dinner, in their open terraces or veranda’s under the stars, and a cool breeze blowing sufficient enough to freshen you and enjoy your meal. The clients are pleased by their choice of purchase in Caccamo, their holiday homes, cool and comfortable, await them after a day of touring the nearby cities or beaches. We have this week finished adding new properties to our website, and it is our pleasure to introduce to your more properties that could make your dream come true. In this news letter we are attaching a letter sent to us from one of our first clients who would like it to be published, clients like these have made us proud and worthy of our stressful work, we’d love to have dinner with you A. N. , and thank you again. “I am writing to thank you for all your invaluable help and advice in buying our two properties in Caccamo. It has been great to find a broker that we can trust in, completely. Franco recommended a very efficient solicitor from Cianciana and came with us to second sign at the notary in Termini Imerese, where everyone was very helpful. We actually have our deeds through now and Franca has managed all works that we have had done, for a 10% fee of the works, which has been worth every penny, ensuring the work continues when we have to return to the U K . With Franca translating, advising and monitoring the workman it has been a stress free and exciting process for us. Although Franca is probably exhausted!! It is taking some time for our landline to be connected in the countryside, but with a major heat wave in Sicily at the moment, we are not complaining. 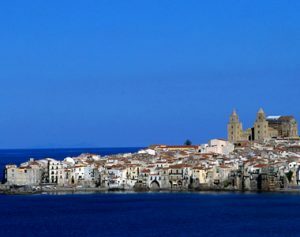 Buying in Sicily is a great investment as well as a lovely holiday home. 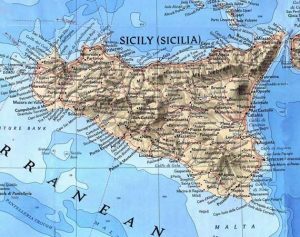 Investors are realising that the property in Sicily is undervalued and prices are on the increase-which is all great news for us. I don’t know how people buy abroad without bi-lingual brokers. It has given us peace of mind in understanding legal requirements and that the checks are carried out accurately for ownership and debts on the title deeds etc are all checked thoroughly. There was quite a wait from our first signing until our second signing on our first property. Though this was because all the required documentation was being undertaken and has definitely been worth the wait! Franca has been great organising our bill payments, such as sky T V and council tax which would have been a lengthy and time consuming process, had I carried it out myself. Leaving me more time to sun and swim at the beach!!! The weather has been terrible back here in England but knowing we have a place in Caccamo keeps us happy.